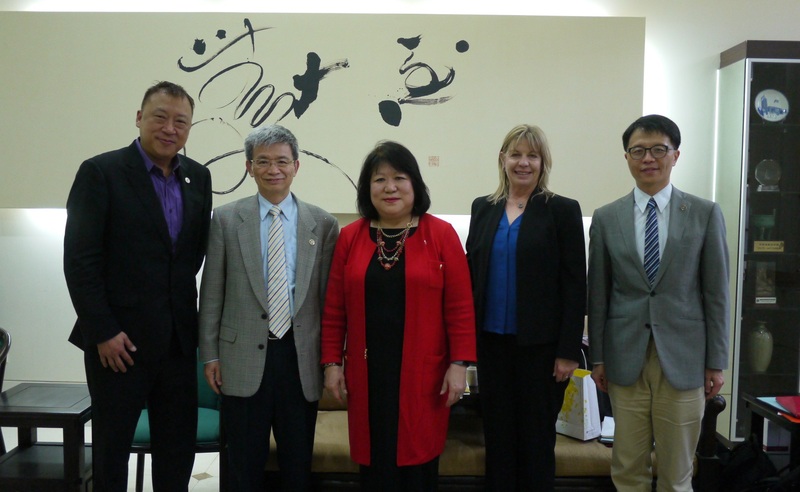 On February 22st, Dr. Ellen Junn, President; Mr. Fred Bee, Member of California State University, Stanislaus Foundation, and Dr. Jennifer Helzer, Associate Dean of Extended and International Education from California State University, Stanislaus visits NTNU. Prof. Cheng-Chih Wu, President, and Prof. Hsiang-Lin Liu, Vice President of Office of International Affairs welcomed the guests in person. Founded in 1957, California State University, Stanislaus has different faculties include: College of the Arts, Humanities & Social Sciences; College of Education, Kinesiology & Social Work; College of Business Administration; and College of Science. Every year, the university cultivates many talented students to engage in different professional fields, which also help local development, especially in the field of education. This time, the main purpose of their visit is to explore the possibilities of future cooperation with NTNU. During the courtesy call, the two sides introduced the strengths of faculties in both universities, exchanged ideas about alumni management and issues. Also, because of their similar academic background, the discussion was even more passionate. 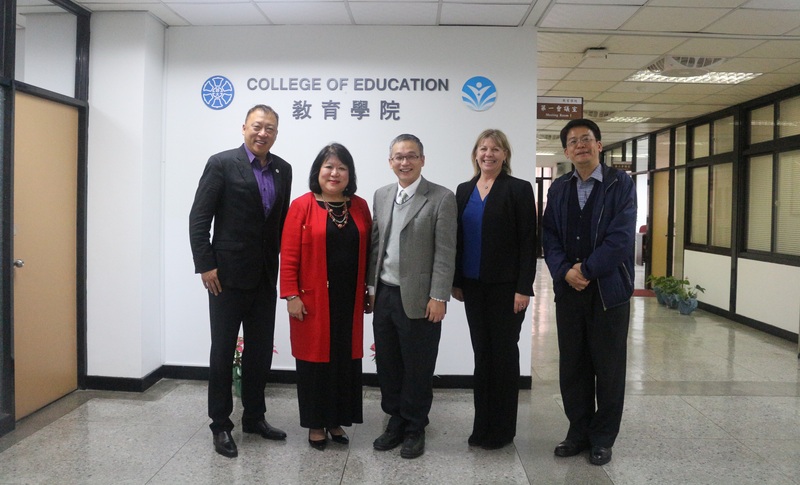 Later, the guests went to College of Education to meet its Dean, Prof. Hsueh-Chih Chen and Prof. Jong-Long Guo, the Associate Dean. The guests were impressed by the achievements which College of Education has attained, and how their students attend the summer programs abroad to reinforce their skill of teaching and research. Everyone engaged in profound discussion, the guests had a great time in NTNU.